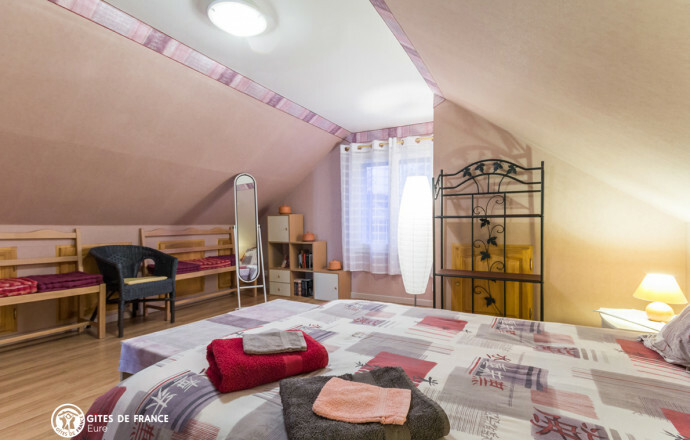 Spacious and comfortable Bed&Breakfast for a pleasant stay in Damville where you will discover the fortress's ruins and Saint Evroult church, a Historic Monument. On a path that leads to the secret Valley the Iton, in a quiet area of the town of Damville, Anne welcomes you. Fascinated by this little corner of Normandy, it will guide you towards the most beautiful discoveries, beginning with Damville, its Romanesque church, halle, wash-house and beautiful mansions or the choclatrium two not. Very nice house on a garden trees and flowers from the beautiful days. The suite is located on the 1st floor, only for you, including 2 spacious bedrooms (2 double beds, cot on request baby-changing table and high chair are available), bathroom/wc, a small living room with lounge and dining area, as well as an area to warm you up a snack. The shops are within walking distance. In the heart of the country of Avre and Iton close to Verneuil sur Avre, city of Art and history. Assiette Gourmande and table d'hôtes. The owner offers you a special family rate (reduced price for children). 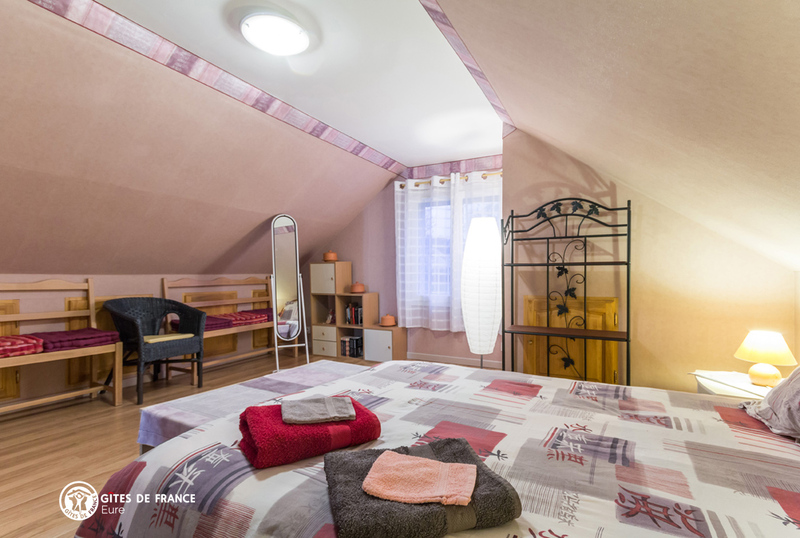 Deux belles chambres confortables et spacieuses avec 2 lits doubles, chevets et fauteuil. Lit bébé sur demande. Plateau de courtoisie et bouilloire. 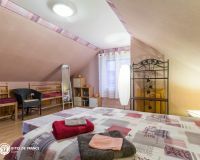 Two beautiful, comfortable and spacious rooms with 2 double beds, bedside tables and armchair. Cot on request. Welcome tray and kettle.